Timothy J. Keane is not just an accomplished trial and appellate attorney. His greatest value as a professional is his ability to manage, coordinate, and conduct all aspects of litigation with constant focus on the client�s core objectives. Over twenty years he has provided highly effective representation in thousands of matters, primarily in the federal and state courts in the State of New York, and he has taken, defended, and consulted on appeals in the United States Supreme Court, New York State Court of Appeals, the United States Court of Appeals for the Second Circuit, and each Appellate Division of the New York State Supreme Court. 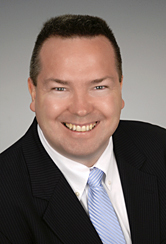 Mr. Keane represents Fortune 500, mid-sized, and small businesses, insurers, entrepreneurs, individuals, and municipalities in civil actions and arbitration proceedings in catastrophic injury, high value property damage, insurance coverage, commercial, real estate, and employment litigation. He possesses a wealth of experience in litigation, primarily in commercial litigation, insurance coverage, defense of civil liability actions, and the frequent and interesting intersections of these practice areas. In commercial litigation he focuses primarily on technology, real estate, indemnity, and insurance procurement obligations, but he also addresses a broad array of contractual disputes and by prosecuting breach of contract actions he has recovered millions of dollars in property damages. In insurance coverage disputes he is called upon frequently to write or respond to defense tender, disclaimer of coverage, and reservation of rights letters and to assess, prosecute, and/or defend against claims concerning the scope of coverage, priority of coverage, and obligations amongst and between multiple domestic and London Market primary and excess insurers, mutual insureds, and Cumis counsel and on behalf of a surety he has the distinction of having obtained an order in quia timet. In civil liability actions Mr. Keane defends against catastrophic personal injury, wrongful death, and substantial property damages claims, including claims for billions of dollars in damages alleged as a result of the September 11th Terrorists Attacks. He represents manufacturers, distributors, retailers and their corporate successors in products liability actions based upon food borne illnesses and allegedly defective machinery, municipalities in claims of alleged civil rights and statutory violations, employers in employment practice and discrimination matters, and businesses and individuals alleged to be liable for violations of Article 10 of the New York State Labor Law (�200, 241, and 240), toxic and environmental torts, and alleged defective conditions on property they own or lease. Mr. Keane collaborates with clients and often their insurers to get clients from problem to solution without unnecessary expense or delay by disaggregating the issues, identifying the tasks necessary to advance his clients� interests, and focusing on those tasks. He makes complex issues easy for clients to understand and discuss and thereby prevents unpleasant surprises and makes certain to assess and explain matters with dispassionate objectivity, without shading, bias, or partisanship, while at the same time passionately and effectively advocating his clients� positions before the courts and adversaries. His experience, original solutions, command of advanced technology, unparalleled information pool, intuition, instinct, insight, common sense, sound judgment, and effective pre-trial practices, including focused discovery, dispositive motion practice, and framing the issues, help ensure the best possible results and his ability to develop innovative methods and aptitude for mastering new technologies allow him to meet the challenges of litigation in this age of electronic discovery, multi-media presentations, jury focus groups, and whatever tomorrow brings. Mr. Keane is the President of the Defense Association of New York (DANY), where he established and chairs DANY�s Pro Bono Committee and has been an Officer since 2005 and a Director since 2000. He is a member of the New York State Conference of Bar Leaders (NYSCBL) and was the Defense Research Institute (DRI) New York State Representative from 2005 through 2009. Mr. Keane lectures on issues of interest to the insurance and defense bar for DANY and the New York State Bar Association (NYSBA) and is published in The Defendant. Mr. Keane received his B.A. in Political Science and Philosophy from Fordham University during 1987 and his J.D. from Pace University during 1990. He was born and raised in Westchester County, where he resides with his wife and four children. Pavlou v. City of New York, et. al., 8 N.Y.3rd 961 (2007) - After a jury found that the Industrial Code was violated but found that the violation was not a proximate cause of plaintiffs� injuries, then nonetheless proceeded to determine that the principal amount of plaintiffs� damages was $12.8 million, the trial court ordered a new trial on the basis that the verdict finding no causation but awarding damages was inconsistent, a divided Appellate Division reversed the trial court and reinstated the verdict in favor of the municipality, and the Court of Appeals unanimously affirmed the Appellate Division�s reinstatement of the verdict in favor of the defendant municipality. Gil v. New York State Division of Human Rights, et. al., 17 A.D.2nd 365 (2nd Dept. 2005) - The Appellate Division affirmed dismissal of an employment discrimination complaint for failure of plaintiff to comply with the statutory requirements for seeking judicial review of a New York State Division of Human Rights determination. Pavlou v. City of New York, et. al., 300 A.D.2nd 120 (1st Dept. 2002) - The Appellate Division held that where a crane is being used to move materials from one spot at ground level to another spot also at ground level and the boom of the crane fractures and falls on a worker at ground level, there can be no liability pursuant to Labor Law �240. The Court of Appeals denied plaintiffs� motion for leave to appeal at 12 N.Y. 3rd 713 (2009). Travelers v. American and Foreign, 286 A.D.2nd 626 (1st Dept. 2001) - The Appellate Division held that where one insurance policy provides that it is excess of primary insurance and another provides that it is excess of both primary and excess insurance, the policy that provides that it is excess of only primary insurance must be exhausted before the policy that provides that it is excess of both primary and excess insurance is reached, notwithstanding that the insureds who purchased the policies agreed with each other, but not with the insurers, that the policies would exhaust in the opposite order. Roberts v. Karimi, 251 F.3d 404 (2001) - In an action for breach of a contract to sell real property the United States Court of Appeals for the Second Circuit reversed a judgment entered for plaintiff after a jury trial upon the basis that plaintiff failed to prove that he was willing to complete the transaction on terms acceptable to the seller. Smith v. A. J. Contracting, et. al., 277 A.D.2nd 305 (2nd Dept. 2000) - The Appellate Division reversed grant of summary judgment and held that where an agreement for a subcontractor to procure insurance was never signed but work based on said agreement proceeded, there was, at least, a question of fact concerning the subcontractor�s obligation to procure insurance. Vergara v. Scripps Howard, Inc. et. al., 261 A.D.2nd 302 (1st Dept. 1999) - On appeal from a $2.8 million judgment the Appellate Division held that an industrial equipment manufacturer�s successor, which had a contract to maintain the equipment its predecessor sold, cannot be held liable because the end user�s modification of the equipment, rather than the manufacturer�s design, rendered the equipment unreasonably unsafe and the defendant had no notice that the end user made an unsafe modification to the equipment. Pollinskie v. Phillips, 232 A.D.2nd 466 (2nd Dept. 1996) - The Appellate Division granted summary judgment and dismissed the complaint which sought to impose a constructive trust on funds in a joint account that passed to a joint tenant with right of survivorship. · Gil v. New York State Division of Human Rights, et. al. · Travelers v. American and Foreign Insurance Company, etc. · Smith v. AJ Contracting, et. al. · Vergara v. Scripps Howard, Inc.